In this podcast, we meet with Alexis Gordon, the International Relations Manager at the City of Charlotte, to discuss the IESBO meeting. Tune in now! Andrew: Welcome back, Charlotteans; and welcome to those of you on the internet who are not Charlotteans yet, since we’re speaking about international relations, and for all you Charlotteans-to-be…welcome back. Alexis: You know you wanna be a Charlottean. Andrew: That’s absolutely right. I’m Andrew Bowen, your favorite (and only host, currently) of CBR’s B2U podcast, bringing business resources directly to you. In our last episode, we covered part one of a three-part discussion with Alexis Gordon, the International Relations Manager at the City of Charlotte. If you missed it, you can find it at CBRbiz.com. Alexis, welcome back. Alexis: Thanks for having me again. Andrew: Very happy to have you. As promised, today we will be discussing the IESBO meeting. That’s a lot of letters. So can you help us by telling us what it is and what it aims to do? Alexis: Yeah, when you’re in international relations, you get a lot of alphabet soup. Andrew: We live in a world of acronyms. Well, it’s so we could talk abut: What does this mean? So the IESBO meeting is the International Entrepreneurs and Small Business Owners meeting. And this meeting was set up roughly in 2010 as a way to help international entrepreneurs or immigrant small businesses understand what are some of the things that they might find different from doing business at home here in Charlotte, and also give them access to tools from our partners that will help increase their business. Andrew: Okay, so like continuing education in a meeting format? Alexis: In a meeting format. So what we do is we usually have one speaker. Sometimes we have a panel, but we always will have at least one workshop. So you get a little bit of a mini introduction to some kind of workforce development, or maybe something that will help you with your business. Andrew: Okay, so it sounds like it spans quite a bit of the community in terms of who puts it on and who presents it. Do you have any partners that…or who presents it? Alexis: We have a lot of different partners. It started with the Office of International Relations and our predecessor, the Mayor’s International Cabinet, which turned into the Charlotte International Cabinet. We’ve had a lot of change over the years, but we’ve decided to keep it as part of our programming, and every time we put this on, we always have it in May because it’s Small Business Month. We want to make sure to highlight it during Small Business Month. And we bring together different partners. So we actually use a lot of the same partners that you will find on this website; partners that are with CBR are also partners with our office. 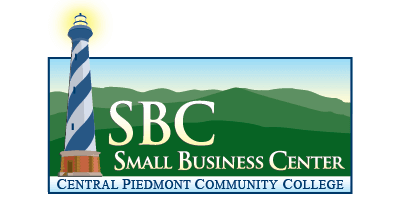 The newest thing we’ve done is now we are directly partnering with CPCC and the Small Business Center. And they are going to work with us to help make this a bigger program. Instead of it just happening in May, like it is now, we’re also going to be having another one coming up this fall that will follow a similar format. And we are also looking at taking it to different campuses so that people can be exposed to what are the different locations that Central Piedmont Community College has. But also, it will help people who maybe can’t get into Uptown because their business is in the University area. We all know small business owners have a lot of time…not. You are so busy working on your business; we make sure we can bring some of these resources to you. Andrew: That’s great. You mentioned the owners. Who can come to this meeting? Alexis: Actually, anyone can. If you are an immigrant and you’re thinking of starting a business, if you are a native Charlottean and you’re thinking of starting a business, if you moved here from Iowa and you own your own business already but want to grow it here in Charlotte, you are welcome to attend this meeting. It is open to everyone. We do tend to try to pick programming that is a little more dedicated to the international communities; for example, one time we did it on exporting. Alexis: Another time, we did it on the Seven Deadly Sins of Code Violation. So we had City Code Enforcement come, and also the Mecklenburg Department of Health come from the County. And their inspectors talked about, what are some of the things that they see most often. Another time, we had a workshop about how to get a translator for your inspections. All of our inspectors, you can ask for a translator. But it’s also important to think of different things. One time, we had a small business that was having problems, and we found out it was because the owner spoke one form of Chinese, and the other worker spoke another form of Chinese. And I can’t remember who spoke Mandarin and who spoke Cantonese, but they’re different. And so they requested one translator, and the owner was like, “Uh-huh, uh-huh, I understand everything. It’ll be fixed.” And then it wasn’t, and no one knew why. And so lots of times we want to give people, you know…these are some things to think about that you may not have thought of before. Andrew: Interesting. That’s very… sounds like very good information that you learn kind of what program you do as you put the programming on, and you hear kind of the experiences that a lot of the business owners are having. Alexis: Oh, yes. At the end of every one of these meetings, at the end of the IESBO meeting, we ask people to fill out a survey form. On that form, we say, What do you want to learn about next? Andrew: Or that are providing some of these business services. Alexis: Exactly. So that way we are also helping grow our ecosystem of our small businesses here in Charlotte. Andrew: That’s super. So the day of the event, like what do people…what does the event look like in terms of the time commitment? Is it a full day–8 to 5 kind of thing–or is it a drop in, you can pick sections you want to go to? Alexis: What we try to do is we try to set it up so that it’s usually in the morning, and it usually starts at 7:30 in the morning with a little networking session. At 8:00 is when we start our programming. But we try to build it so that if you can only stay until 9, you can come from 7:30 to 9. But if you can’t come until 10, then some years we plan it until 11, and so then you can come at 10 and then just get to that one workshop. We try to make it that you can either stay for the whole half morning or that you are able to come in and out and go to different workshops for you. The other thing that we try to do is we usually plan a total of three workshops. For example, in 2016 we had talent acquisition, project management, and effective accounting. And then our big speaker was about sustainability and small business. So, how can you be green? A lot of us think that, you know, by going green, I’m going have to spend a whole lot of money. But we don’t look at how much money you end up saving in your business by going green. And also how a lot of customers might be very interested in knowing that you’re going green. This way, that person who might come to that event in May would go, “Well, you know, I really am most interested in the accounting piece, so I’m going to go for half an hour and do that.” But they are able to, if they want to, go to everything. And sometimes we have people that come…our business owners go, “Man, I want to go to all three.” Well, don’t worry; we try to repeat them once in a while. One of the biggest ones that usually does really well…we have social media, like how do you help with your social media? How do you engage with your clients and customers? And you’ll see that one come back up again. Just remember to fill out that survey, so we know what to bring back, and so we know what to look for next. Andrew: That’s great. So we’re coming near the end of our time. Is there anything else you’d like to add about this meeting? But we don’t look at it that way. We look at it that we can all kind of learn from each other, and there might be a small business there who is your competitor. But there might be also someone who could be your vendor. And so the networking session, I know some people go, “It’s so early, and I’m just going to skip it,” but you could meet someone who could become a client for you or could become a vendor for you. Andrew: I imagine coffee and small breakfast bites are available? Alexis: There’s always coffee and breakfast at this event. Andrew: Two of the most important things in the morning. Andrew: Alexis, thank you again for being here. Alexis: Thanks for having me. Andrew: Alright. Listeners, that was part two of our three-part series with Alexis Gordon. You can find part one and other episodes at CBRbiz.com. Up next, we’ll be asking Alexis the most important question of all: How can my business take over the world? Alexis, any thoughts on that? We’ll wait for next time. Thanks again for tuning in to CBR’s B2U podcast, presented by CBRbiz.com. Until next time, we mean business.